“If you grew up in the ’70s you liked Aerosmith.” That’s what R.E.M. guitarist Peter Buck wrote in the liner notes to his group’s version of Aerosmith’s “Toys in the Attic” on the Dead Letter Office album. And he knew what he was talking about. Along with other American hard rock acts such as Montrose, Blue Oyster Cult, Kiss, and Alice Cooper, Aersosmith won over a whole generation of raunch-hungry young whippersnappers who’d grown tired of listening to their older siblings’ Cream, Black Sabbath, and Led Zep albums. 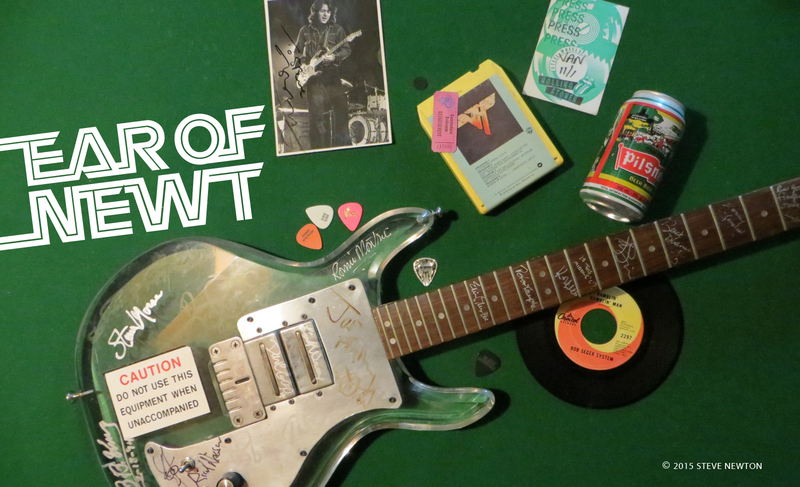 Aerosmith was a band that ’70s teens could call their own, and they did–in droves. Between 1973 and 1979, the band released seven albums–Aerosmith, Get Your Wings, Toys in the Attic, Rocks, Draw the Line, Live! Bootleg, and Night in the Ruts–and each one has sold more than a million copies. Not too bad for a garage band from Boston. Aerosmith’s mass popularity took a bit of a nosedive in the early ’80s after one of its chief songwriters, Joe Perry, left to follow a solo career. Second guitarist Brad Whitford also quite for a few years, but after an Aerosmith show in Boston on Valentine’s Day in ’84, both he and Perry reunited with their old bandmates. In June of that year, the original lineup was back on the road. The band’s re-entry into the swing of things was given a boost when it joined with Run-D.M.C. for a popular rap version of Aerosmith’s 1975 hit single, “Walk This Way”. But the bands biggest push for glory the second time around came when it linked up with producer-on-a-roll Bruce Fairbairn and headed into Vancouver’s Little Mountain Sound studio last spring. The resultant LP, Permanent Vacation, is one powerful piece of vinyl, and with the help of the single/video “Dude (Looks Like a Lady)”, Aerosmith is once more making its presence known on record charts everywhere. It looks like Fairbairn’s platinum touch is as potent as ever. And does Aerosmith plan to use Fairbairn as producer on its next LP? Aerosmith spent about six weeks in Vancouver making Permanent Vacation and, like Jon Bon Jovi and Whitesnake’s David Coverdale, Perry has only words of praise for the city. “We loved it,” he says, “and we took a lot of good memories with us. We really didn’t get a chance to do too much–I think one of us drove up to Whistler–but we did go motorboating around the harbour and all that stuff. And it was great because the people up there are really friendly. Some of the local talent that helped out on Permanent Vacation included Jim Vallance (who co-wrote five songs, and played organ on two), Drew Arnott of Strange Advance (he played mellotron on two tracks), and the Margarita Horns, which were led by Skywalk’s Tom Keenlyside. 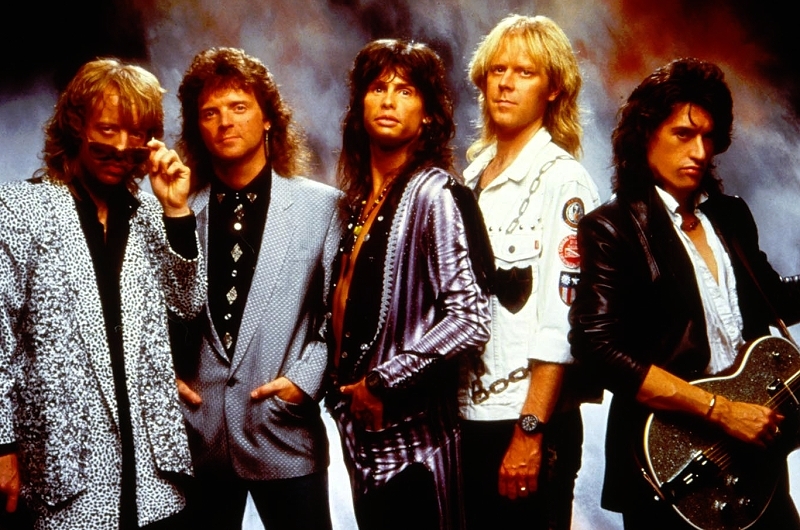 The horn section is prominent on the tunes “Rag Doll”, “Girl Keeps Coming Apart” and “Dude (Looks LIke a Lady)”, but then horns featured strongly on earlier Aerosmith tunes such as “Mama Kin”, “Same Old Song and Dance”, and “Big Ten Inch Record”. As well as being proud of Aerosmith’s latest vinyl, Joe Perry is very happy with the way the group has been performing live. (They play Vancouver this Wednesday, January 20, at the Pacific Coliseum). “The band’s playing wicked tight,” says Perry. “I would not be afraid to take this band into any town hall and stand toe-to-toe with anybody–without the lights, without anything, because the band’s hot. Although they’ve always come through strong on records, Aerosmith’s members had a reputation in their ’70s heyday for being heavy partiers–and often their live shows suffered for it. Perry, 37, admits to the band’s earlier excesses, but says they’ve given up that lifestyle. “Everything you heard about us in the past–multiply it by 10 and it’s true. We could never do anything in moderation. When we’d pull into a town, it was like, ‘Aerosmith the party band is here!’ Everybody’d bring out the best drugs and the best booze. Then we’d go on to the next town and it was more of the same. Other people could sleep it off, but we’d have to go in and do another show. We did that for 15 years. But we made it–we’re still alive to tell about it.